Dr. Wood was born in 1922 in Portsmouth, Virginia. He received his BA from Carson-Newman College in 1943, MA from Columbia University in 1949, and BD, ThM, and PhD from The Southern Baptist Theological Seminary in 1947, 1948, and 1957. Dr. Wood began his career at Baylor in 1955, serving as an associate professor of religion until 1959, when he was named director of the J.M. Dawson Institute of Church-State Studies. 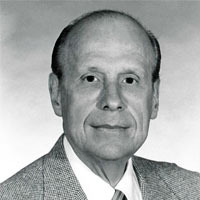 Dr. Wood served as director from 1959 to 1973, and then from 1980 to 1995. 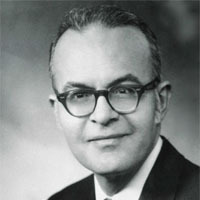 From 1973 to 1979, Dr. Wood served in Washington, D.C., as the head of the Baptist Joint Commission for Public Affairs. Under Dr. Wood’s leadership of nearly 30 years, the Institute emerged from humble beginnings and slowly added various components, such as the creation and development of the master's and PhD programs in church-state studies, the move of the Institute into the Carroll Building, the development of classrooms and a research library within the Carroll Building, as well as the establishment of the Journal of Church & State. Because of Dr. Wood's lengthy and tireless work, the Institute eventually grew to become an internationally known center for church-state studies and religious liberty. To access Dr. Wood's full biography and resources on church-state in his extensive archives, click here. Dr. Garrett was born in Waco on November 25, 1925, to James Leo Garrett Sr., a business teacher at Baylor University; and his wife, Grace Hasseltine Jenkins Garrett. He became a Christian in 1935 and was baptized at Seventh and James Baptist Church. He was later licensed and ordained to the gospel ministry at First Baptist Church of Waco, during the pastorate of Dr. J. M. Dawson. He earned a Bachelor of Arts in English from Baylor University in 1945, a Bachelor of Divinity from Southwestern Baptist Theological Seminary in 1948, a Master of Theology from Princeton Theological Seminary in 1949, a Doctor of Theology from Southwestern Baptist Theological Seminary in 1954, and a Doctor of Philosophy from Harvard University in 1966. He performed additional studies at the Catholic University of America, in Washington D.C., Oxford University, St. John's University, and Trinity Evangelical Divinity School in Deerfield, Illinois. Dr. Garrett taught at Southwestern Baptist Seminary in Fort Worth (1949–1959, 1980–2003), The Southern Baptist Theological Seminary in Louisville, Kentucky (1959–1973), and Baylor University in Waco (1973–1979). He was also a visiting professor at the Hong Kong Baptist Theological Seminary and a guest lecturer in Mexico, Brazil, Uruguay, Colombia, Ukraine, Romania, and at several schools in the United States. While a student at Southwestern, he pastored three small Baptist churches. He also served as an interim pastor for several Baptist churches. Dr. Garrett authored several volumes, including Baptist Church Discipline (1962); Baptists and Roman Catholicism (1965); The Concept of the Believers’ Church (1969); We Baptists (1999); Baptist Theology: A Four-Century Study (2009); and Systematic Theology: Biblical, Historical, and Evangelical (2014). He contributed articles to twenty-one other books and authored hundreds of journal articles, encyclopedia articles, and book reviews. Dr. Garrett served as director of Baylor’s J. M. Dawson Institute of Church-State Studies from 1973 to 1979. Dr. Davis was a Dallas area native, who graduated from Bryan Adams High School and attended Baylor University on a football scholarship as a wide receiver. He was captain of the freshman and varsity squads and was named to the All-Southwest Conference team, while also being an Academic All-American. While serving as the director of the J.M. Dawson Institute from 1995-2006, Dr. Davis was editor of the Journal of Church & State. His publications include Original Intent: Chief Justice Rehnquist and the Course of American Church-State Relations (1991) and Religion and the Continental Congress, 1774-1789: Contributions to Original Intent (2000). He has also published extensively in various law and academic journals. 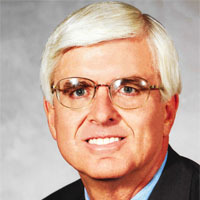 Dr. Christopher Marsh was a professor of political science and church-state studies at Baylor University, when he served as the director of the J.M. Dawson Institute of Church-State Studies from 2006 to 2011. Dr. Marsh is currently a professor of National Security and Strategic Studies at the US Army School of Advanced Military Studies, where he teaches courses in the areas of operational art, counterinsurgency, international security and strategy, and morality and war. 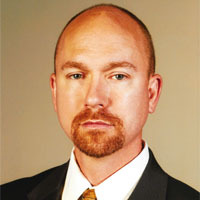 Dr. Marsh is also the president of the Special Operations Research Association and editor of its professional journal, Special Operations Journal; he was also the past editor of the Journal of Church & State and an executive editor of Demokratizatsiya: The Journal of Post-Soviet Democratization. Marsh is fluent in Chinese and Russian, and his research interests include religion and war, church-state relations, and Russian foreign and defense policy, particularly military cooperation between Russia and China.